Langton Rusere will make history when he becomes the first Zimbabwean umpire to stand in the final of a major global cricket tournament. The International Cricket Council (ICC) has named Rusere as one of the on-field umpires for the Women’s World T20 2018 final between Australia and England to be played at the Sir Vivian Richards Stadium in Antigua on Saturday. 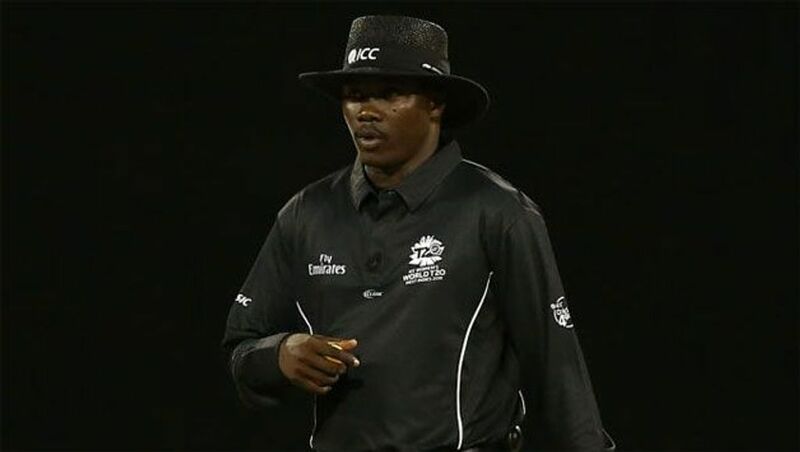 The 33-year-old Rusere also officiated as an on-field umpire in the semi-final between Australia and the West Indies on Thursday. In the final, he has been paired with South Africa’s Shaun George, who stood in the other last-four match that pitted England against India. Apart from handling three tournament warm-up games, the final becomes Rusere’s eighth Women’s World T20 2018 assignment – five of them as an on-field umpire, two as fourth umpire and one as television umpire. This is the fifth global tournament at which the top Zimbabwean umpire has officiated, having also taken part in the ICC World Cup Qualifier 2018 held in Zimbabwe and the U19 World Cup in New Zealand earlier this year. After making his mark at the U19 World Cup in 2016 in Bangladesh, Rusere went on to do duty at the Women’s World Cup 2017 staged in England. This year he was also one of the umpires at the Caribbean Premier League (CPL), the second time he was involved in the tournament. Rusere was also a mentor umpire for the ICC World Cricket League Division Two – the qualifier event for Associate teams to the ICC World Cup Qualifier 2018 – held in Namibia in February this year.